To teach and live the Catholic doctrines and values and to provide a quality academic program through a loving, Catholic atmosphere. 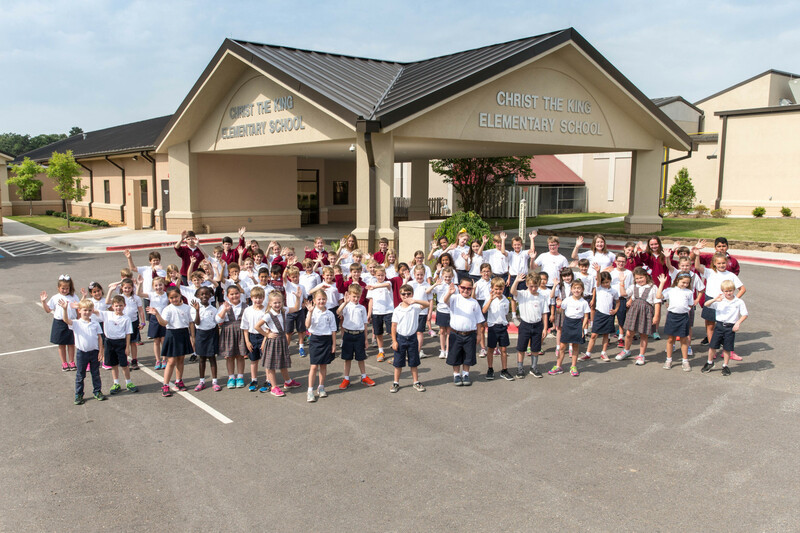 Christ the King School is a Catholic institution committed to the teaching of Catholic doctrines and Christian values and dedicated to providing a quality academic program. The school recognizes the rights of individuals as children of God deserving honor and respect and works toward the following goals and objectives with the involvement and cooperation of the students' parents or guardians. To provide Christ the King students a well-rounded academic program with Catholic fundamentals as its core. To provide quality education to all those children in the parish who desire to take advantage of such an opportunity. To instill a positive attitude towards the learning process while providing students with the opportunity to achieve academic excellence. To strongly promote and recognize Christian values and moral behavior. To promote unity, love, respect and understanding among all people regardless of race, religion or socioeconomic group. To foster positive self-esteem and mature responsible behavior with the purpose of arriving at the fullness of Christian life. To encourage teachers to strengthen their Christian commitment and professional growth.